to speak to a friendly human. Breaking away from the conventional tattoo studio mould. the Kings Ship is exclusive & unique. Attracting clientele from around the world. drawn in by our talented award winning artists, PROFESSIONALISM, beautiful studio & relaxed atmosphere. 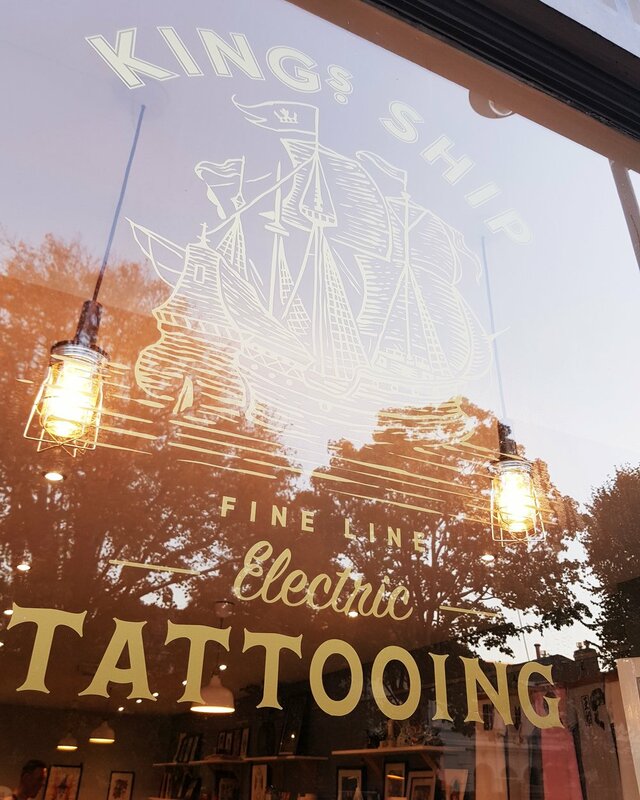 Your tattoo experience with us will be like none other. EACH OF OUR ARTISTS HAVE AN INDIVIDUAL STYLE TO THEIR WORK. DISCOVER MORE THROUGH THEIR PROFILES. Aaron is an award winning artist with over ten years of experience in the industry, specialising in a modern take on traditional Japanese style. Aaron is looking for clients for large scale Japanese pieces. Has been with the Kings Ship from the start. Specialising in Mandala pattern and intricate work, however Sikes always wants the chance to do his own designs which have a unique twist on a traditional style. Has a real delicate style and is quickly building a following for her own designs. Specialising in pattern work and feminine pieces. Lucy draws a lot of influences from Tibet, India and South East Asia. Is the latest addition to the studio. Quality is at the heart of everything that we do here at Kings Ship. Our laser machine is top of the range and we have gone above and beyond when it comes to training. Giving you confidence in the treatment being performed. The same goes for piercings. If you want to be the best, learn from the best. Genevieve has a recognised qualification in body piercing. Check out our social media stream for all our latest work and live videos from our artists. KEEP UP TO Date with kings ship newS, flash days and offers from the artists. LIKE WHAT YOU SEE ON OUR SOCIAL MEDIA? LOVE A PARTICULAR ARTIST FEATURED? Along side the art gallery aspect to the studio, we also sell Kings Ship merchandise, T-shirts & other life style items.